January 15, 2003 These January mornings are so cold that Casey has to bust open icy puddles with his paw just to get a drink. But the Cherokee facility is toasty warm with all woodstoves in full use. 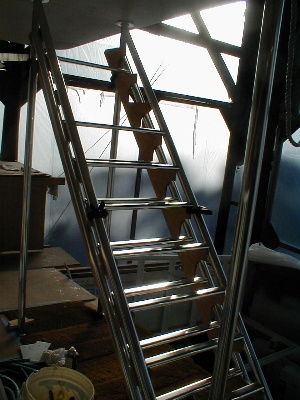 Welder Kevin DeMott is working hard on the aluminum steps that will lead to the fly bridge. 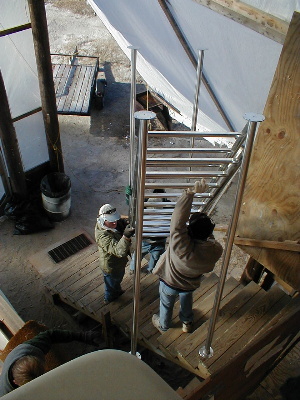 Below are two stages of the process, and then the crew is shown carrying stairs away so Kevin can complete the welding at his shop in Marshallberg. 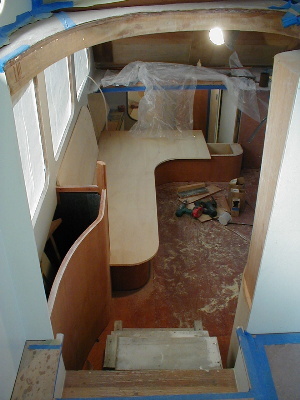 Interior sanding, painting, papering and painting again continues on. 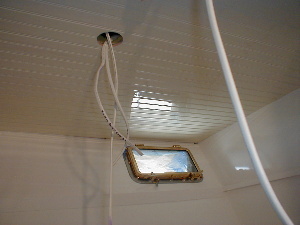 Below is Bill Davis in the V-berth closet, and to the right is the laundry room after final paint job – shiny!! 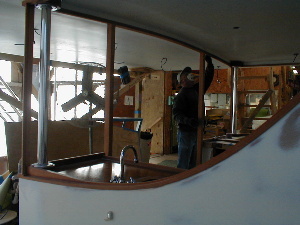 Bill Brown is back, finishing up the hydraulic system for the water jets, and planning to start the engines in the next week or so. 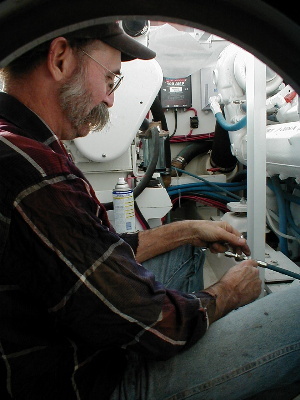 He’s also putting the water makers on-line and bringing up other systems on the boat. 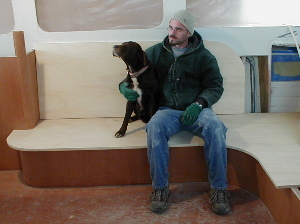 Bryan is building the galley settee, where folks can “set” and “have tea.” The curved base and the attached cabinet are built of plywood that is laminated in place. 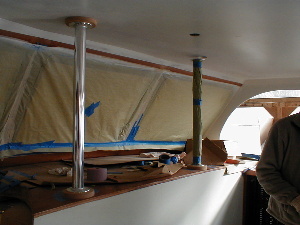 Tom Parker has been building the corner posts and window frames in the pilot house. 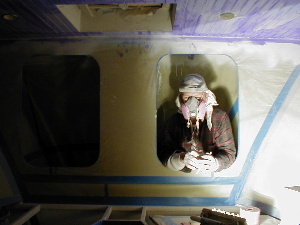 Leonard has been doing the final sanding in the pilot house, as well as helping Tom. 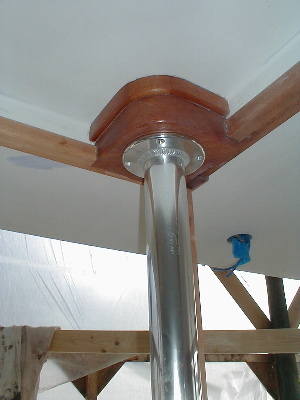 Below shows a detail of the post base. 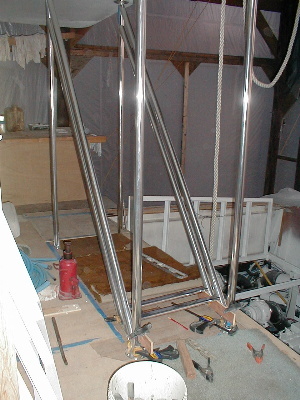 Below (left and right) depicts the aluminum posts that support the hard top.